Well, my two-day tie-atus came to a sudden end on Saturday night, before going to Mudlark Theater‘s Wine (and Chocolate) Tasting affair at Vinic Wine in Evanston. My friend (and GWT alum) Mike Miro is the Managing Director, and he and the board asked me to join their board. ‘Tis yet another step towards my goal of galactic rule. 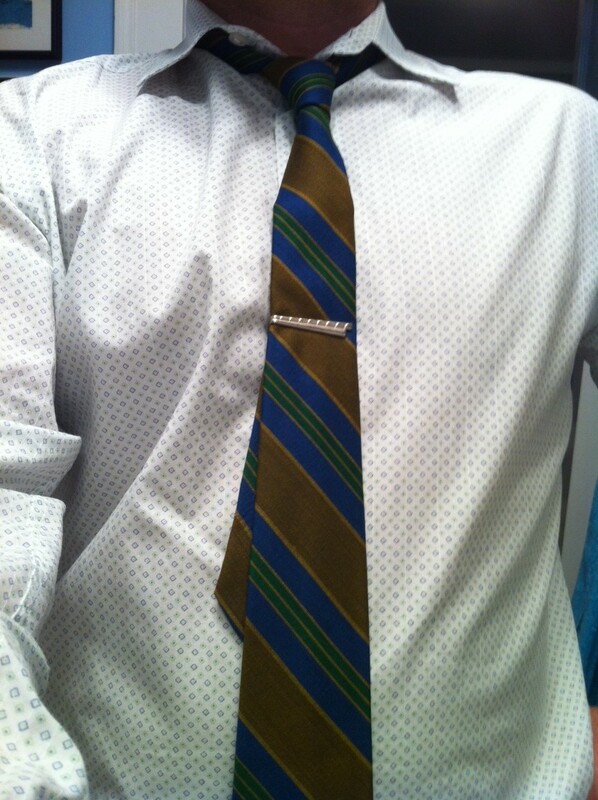 My first decree: Ties for all! Oh, and universal (truly universal) healthcare. I’ll eliminate the DH, too. 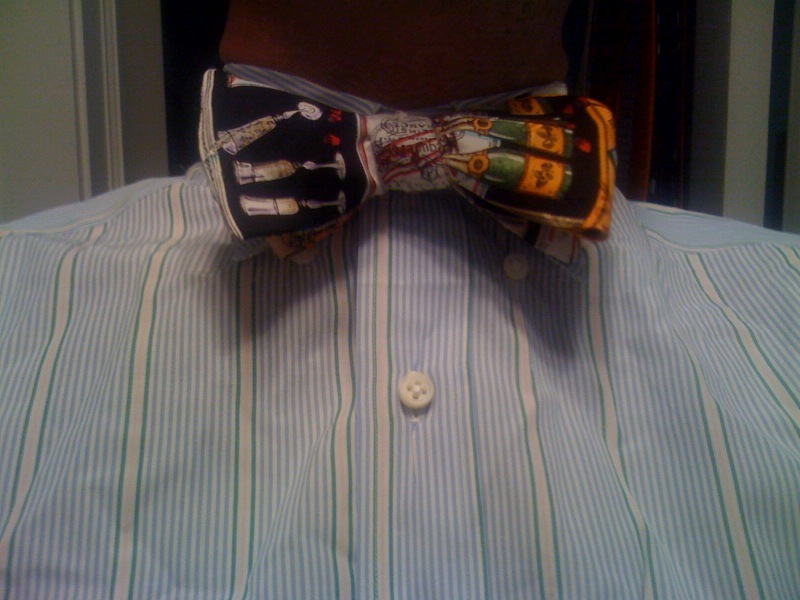 In a rare display of brain activity (apparently brought on by dreams of sovereignty), I remembered that I still had a bow tie/cummerbund set with champagne bottles (and glasses) all over it. Very powerful, wouldn’t you agree? 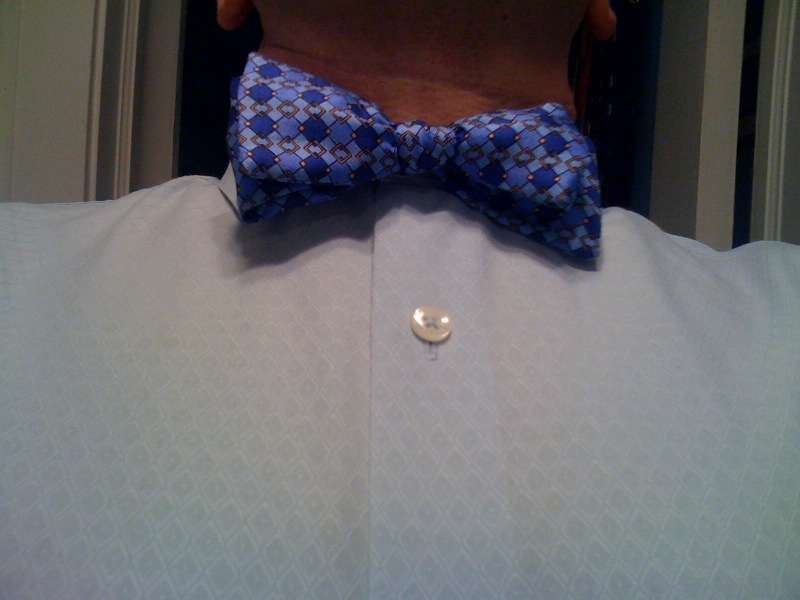 I ditched the cummerbund, of course, and sported my new BTdJ. Sandeep over at Vinic liked it so much he asked if he could have it (and the cummerbund) to display with his champagnes. All is well over at Few Spirits. Getting my bearings as we all get into the work flow. I’ll have much more to report soon. I should have my first outing in the next couple of weeks, and I’ll wear a tie, of course. I can tell you’re angry. I don’t know what someone said or did to you to make you so upset, but I hope it wasn’t me. Oh, sure, you’ve given us crappy Aprils before, but my calendars all agree that it’s May now. Today started out with a little bit of sunshine, so I dressed accordingly, without checking the thermometer. You know that I’m not a weather checker: I know you can and will do your job, and you don’t need me playing armchair quarterback like that Tom Skilling. Later on in the day, the clouds had swallowed that star that keeps us warm, and the thermometer in my car (which has a sunroof, not an overcast roof!!) reading said 45 degrees. Whatever we can do, please let me know and I’ll tell everybody. I’m sure we’re all ready for a collective “I’m sorry” so we can revive our spring. Yeah, we Chicagolanders love to talk about the weather. Unofficial stats put forth by at least one blogger (me) note that 92% of elevator conversations speak entirely on what’s going on outside. The other 8%, by the way, are broken up this way: 5%-Bears; 3%-fact that coffee hasn’t been had yet. The temps just aren’t lending themselves to a good Bow Tie Week. 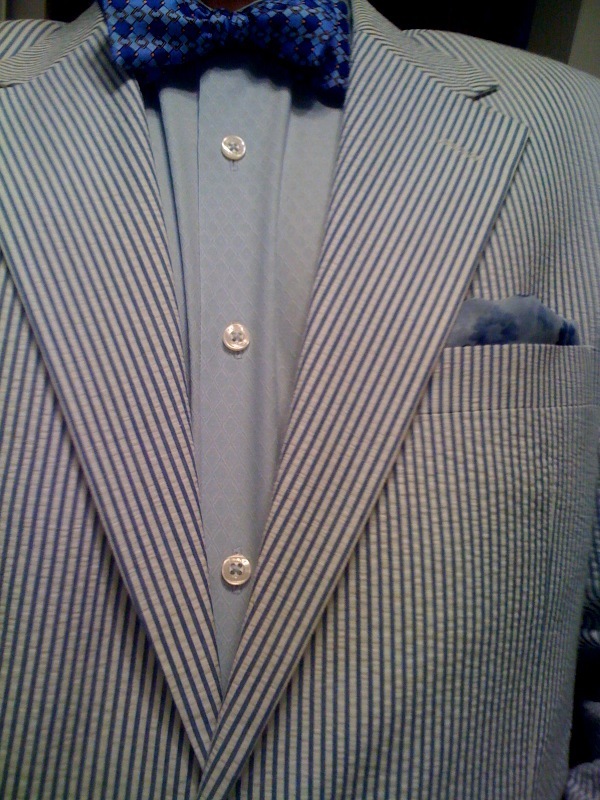 As you can see from my ensemble pic, I brought out the seersucker (just the blazer, not the full suit–gots to be hots). Honestly, seersucker isn’t meant to be shivered in, nor is it used to having a trench coat worn over it. The nerve! Thanks again, Dan, for loaning me a few of your precious bow ties! Speaking of Few, tomorrow is a big day at Few Spirits. The first batch will be run through the mash tank and put into the fermentation container. Cross your fingers that those little yeasty beasties will get hongry on those sugars and produce some yummy booze.